Here at SPE Surveying we understand asbestos surveying and removal and have invaluable experience not only in undertaking surveys buy how the removal process is carried out, this ensures we give the best advise and way forward in dealing with your asbestos. 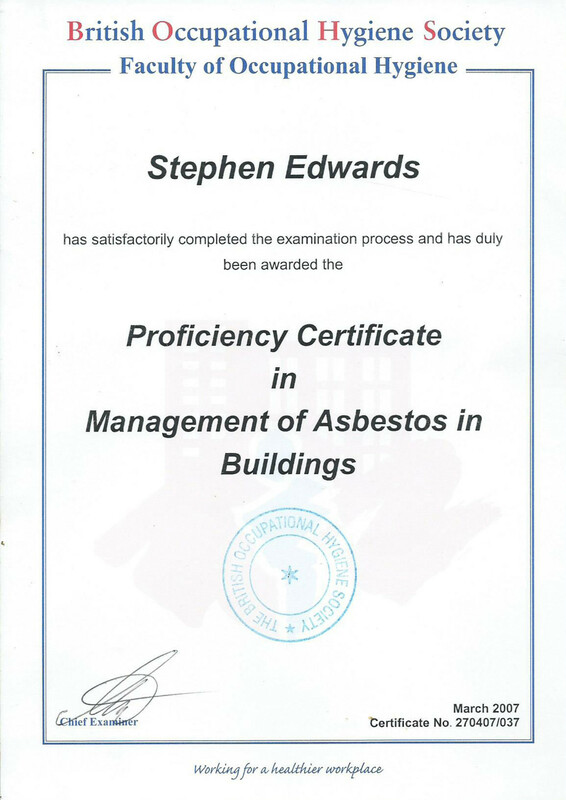 I started in the asbestos industry as an asbestos removal supervisor. 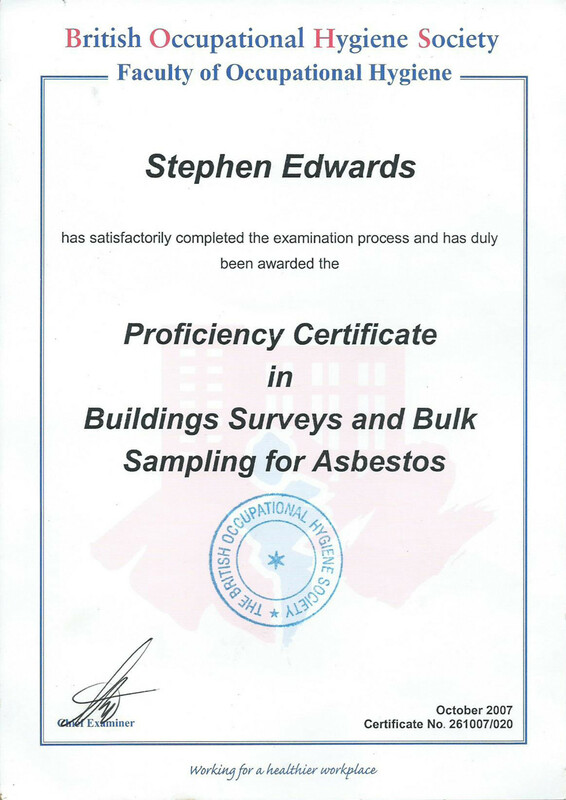 I quickly passed my P402 – certificate in building surveys and bulk sampling and my P405 – certificate in management of asbestos in buildings and here I am ten years on with my own business undertaking asbestos surveys. We work with councils, private house owners, demolition company’s and the general public undertaking surveys and giving the advice they need if asbestos containing materials are found during your survey. Because we are not in the removal business you can rely on us to give you the best advice and way forward to dealing with your ACM’s.